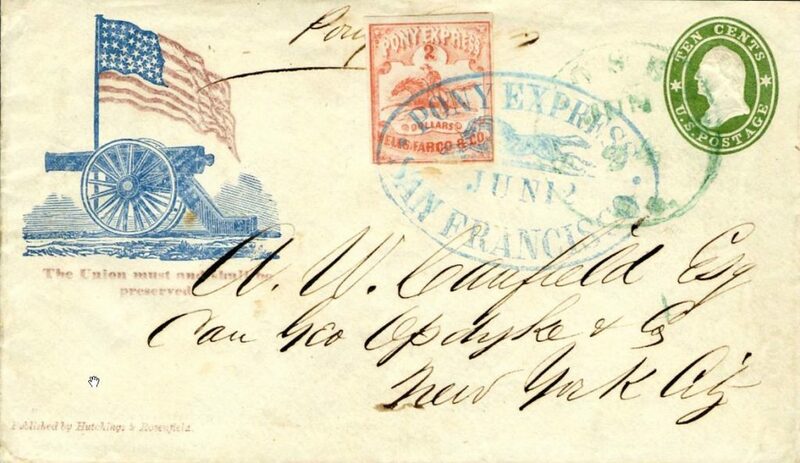 This envelope was carried by a Pony Express rider from San Francisco, California, to A.W. Canfield in New York, NY, in twelve days during June of 1861. 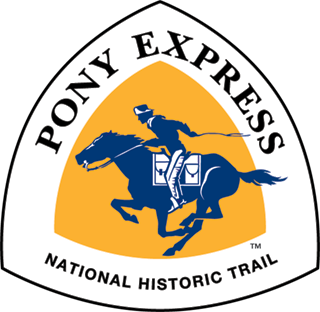 Your letter will be carried on horseback by over 700 riders along the original 1,966 mile Pony Express Trail in just 10 days. 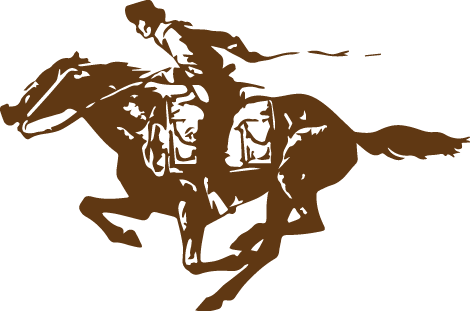 Pony Express Commemorative Letters highlight historical events, sites, and people of the Pony Express. Each envelope is hand-stamped with a special US Post Office cancellation. They are the Official Souvenir of the Annual Pony Express Re-Ride.